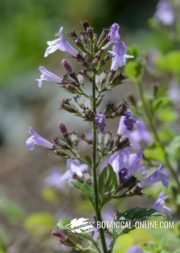 Rosemary (Rosmarinus officinalis) is a plant of Mediterranean origin of the Labiatae family, where lavender, oregano and mint also belong. All parts of the plant are rich in essential oils, which explains its intense smell. Rosemary has antiseptic, antibiotic, antioxidant, antispasmodic, diuretic, astringent, choleretic, emmenagogue, ophthalmic, estimulant and tonic properties. 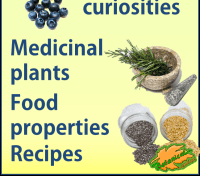 Any home remedy of this plant should NOT be given in pregnancy, as rosemary can cause abortion. 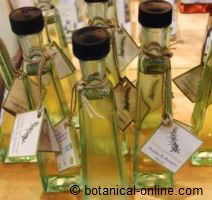 The infusion is prepared with 1 tablespoon of dried leaves (2 -. 4g) per cup of water. When the water is about to boil, turn off heat, cover the pot with a lid and let the plant stand for 1 minute. You can take up to 3 cups a day. The infusion of rosemary after meals helps digestion and prevents the onset of symptoms typical of a poor digestion, such as bloating, flatulence, heartburn, etc. Women can use it to relieve menstrual pain at that time of the month. Because of the emenagogue properties of rosemary, it facilitates uterine emptying. It will also prevent fluid retention. 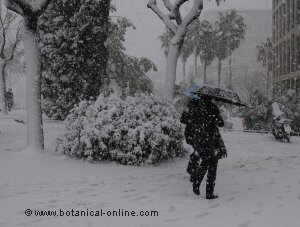 For its tonic effect, it is also a remedy for decayed people, to clear the mind and mental fatigue. 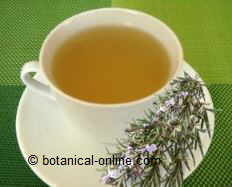 Rosemary herbal tea is also an anti-aging remedy, since it is a plant rich in antioxidants. The bees produce mainly from rosemary flowers in spring. This is a fairly thick honey, amber clear. By crystallizing, it acquires a harder texture and white color. 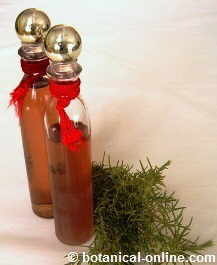 Prepared hypericum oil and rosemary for muscular pain. Analgesic, anti-inflammatory, calming all kinds of injuries and muscle pain. An infusion is prepared with 6g. of rosemary and 500 ml. water. This water is very astringent, suitable for oily skin, and with antiperspirant properties. It is said that Cleopatra VII, one of the most famous connoisseurs of natural remedies for beauty, rosemary water used for skin care. 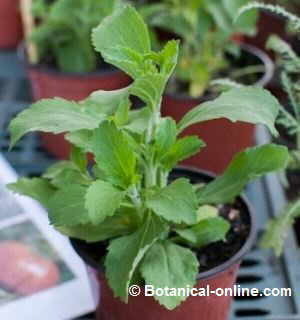 This plant is rich in phenolic acids and flavonoids with strong antiseptic and anti-inflammatory action. Well suited for relaxing the muscles that have been subjected to prolonged effort, mitigating cramps and pain associated with this effort. 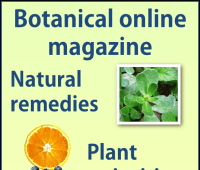 The essential oil is anti-inflammatory, soothing, antibiotic and antiseptic. 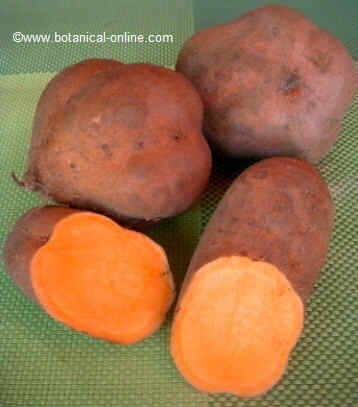 It is used in aromatherapy and cosmetics, for the preparation of creams and shampoos. Rosemary creams are suitable for skin care, especially to prepare creams for oily skin. Another important application of essential oil is for the preparation of shampoos. It stimulates follicle nutrition and prevent hair loss. In aromatherapy, rosemary oil is used for its tonic, soothing, migraine and pain. It is not recommended for people with hypertension and in people with epilepsy. Nor must take the essential oil pregnant or breastfeeding women. Nor for children under 12 years without medical supervision. 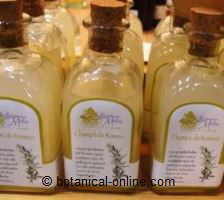 Rosemary shampoo is known for its anti-alopecic properties. 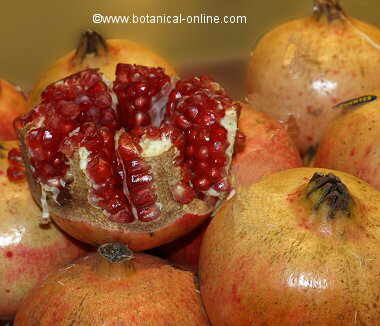 It is sold in some health food stores and natural remediesnstores. It is prepared by adding a few drops of essential oil in the shampoo. Another method would be to apply a friction to the scalp with a few drops of rosemary oil mixed in almond oil. Its benefits are due to the fact that essential oils stimulate and improve circulation to the scalp and promote nutrition and hairline.